When talk began circulating in 1848 about the importance of railroads, the people of Cascade grew anxious. Without direct access to navigable rivers other than the Mississippi over 36 miles away, their community could very well fade from existence. They needed a railroad as soon as possible. The idea raced forward, with the backing of the Chicago, Clinton, Dubuque and Minnesota Railroad Company, or "the River Road," which ran along the western bank of the Mississippi River and passed through Bellevue. Their hopes and dreams became reality in a three-foot-gauge line 31 years later, in 1879. In 1880, the Chicago, Milwaukee and St. Paul Railway purchased the River Road, which included the narrow-gauge branch line to Cascade. Overjoyed at having a larger entity involved, anticipation for the widening of the rails to standard gauge grew quickly. This book relates the story from the beginning to its abandonment in 1936. Today Bellevue and Cascade survive as thriving small towns and are economically healthy. 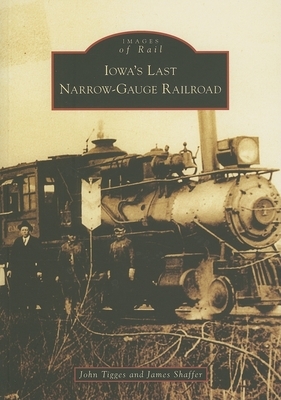 Despite the fact that 70 years have passed since the last spike was pulled, many people know of and recall Iowa's last narrow-gauge railroad.